"Google" it has developed a device works through its own application for the detection of cancerous diseases .ogerha lot of smart applications. 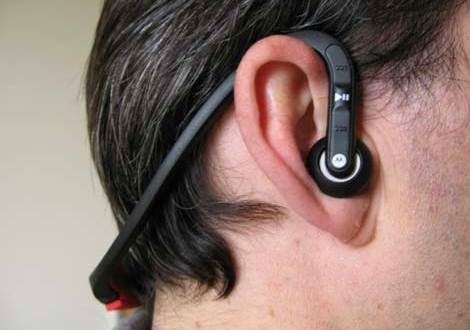 Famous leading company "Microsoft" has today developed a headset to the ear, especially for the visually impaired, as the handset is working on mentored while roaming in the streets or public places. The British charity "Guide Dogs" also contributed to the innovative technique of "Microsoft" development which works on Windows Phone operating system "Windows Phone", as the innovative headset is the way they work using location data and navigation with indicative information network urban sites property to describe the roads and streets, so as to make it easier for its users. According to the latest statistics have been made in the United Kingdom, "Britain" for those who suffer from poor vision and 000,000,2 person's, including 000 183 people rarely go out of their house because of what suffer from weakness in sight. She said the charity "Guide Dogs": "This innovative new technology of" Microsoft "will contribute to improving things, many of those who has a visual impairment. The test was performed on eight blind people, that this headset has given them a sense of security and confidence. The headset positioned in the front of the ear, so as not to confuse the user gets from external noise and traffic .... Ect.